Road travel: it’s not as glamorous as going by plane, boat or even train, but sometimes it has to be done. And if we’re doing it the cheap way, that means we are doing the driving. In an area we don’t know that also means finding how to get there, and in a cheap rented car, you probably aren’t going to be able to rely on satellite navigation, even if you do normally. Like so many things, allowing technology to do it for us can make us soft, unable to do it the old way. With a map and following signs (if the country we’re in goes in for signs, which some don’t). At least on a plane we don’t sit there wondering if we’re going the right way and relying on directions given by a stranger in a service station who didn’t speak English and barely spoke the local language, which in French Guiana is, of course, French(ish). That’s how I spent a recent weekend, buzzing around a country I’d never visited before, in a rented car which Henry Ford himself had just finished assembling. 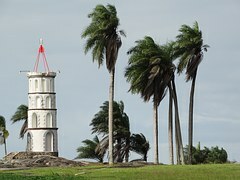 It’s a nice country, French Guiana, with a touch of sophistication due to the fact that, although it is in the north of South America, the one on the right of what were once the three Guianas along with Guyana (formerly British Guiana) and Suriname (Dutch Guiana), it is actually still an overseas department of France. Looks un peu French, n’est-ce pas? The river crossing from Suriname only takes a few minutes and suddenly you’ve shaken off the need to struggle with the Dutch language and have to switch into French. The crossing, though, takes you to St Laurent du Maroni, which is not what you would call cosmopolitan. It has a couple of reasonable lunchtime restaurants – French restaurateurs take a pride in their work that is somehow more sincere than anyone else can manage. But it’s like finding a flushing toilet in the Gobi desert – very nice, but one restaurant doesn’t make a city. Real civilization is two hours’ drive away in Cayenne. So off we go in the little Toyota. Wrong side of the road, signs in a foreign language, locals who know the roads and are frustrated by your unwillingness to hurtle around corners because, unlike them, you don’t know what lurks there, even if it’s nothing. And then a bridge about 100 metres long and only wide enough for one car. We get to it marginally before the car at the other end, so venture on. 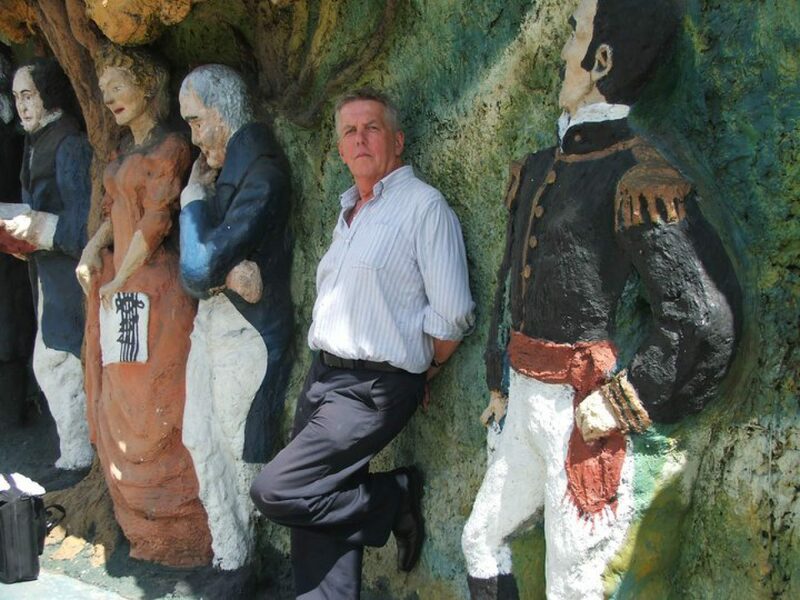 The other guy ventures on too and meets us in the middle, leaping out and gesticulating along with some French diatribe. Then the people behind him get out and one of them speaks English. It seems there is a sign at the start telling us it’s not our right of way. I reverse all the way back and eventually, out of harm’s way, look at the sign. No words, just arrows, one pointing down and the other up. The one pointing down is bigger, thicker. Must mean traffic coming from that direction has priority. Fine, but would a few words have been too much to ask? Waiting until the coast is clear, I have another go and get to the other end unchallenged. Now it’s like being in rural France, with their road signs and their roadside cafes, although we won’t be sampling the cuisine because time is marching on and we have a hotel to find. And first a city, but in French Guiana all roads lead to Cayenne, so that’s not a problem. The problem comes when you reach the outskirts and suddenly there are options. “We’re looking for the Hotel Parapluie. Is it around here?” You have to bear in mind that I have been pointed in this direction by a man who said the hotel was a long way away, and when pressed added that that meant six or seven minutes’ drive. Unconvinced, I stop at the next gas station for confirmation, only to find that the Chinese woman running it is pointing back the way we have just come and indicating left while saying right. This inability to tell left from right is a built-in weakness in about half the world’s population, and I’m not necessarily saying that’s the female half, although there is compelling evidence to support that assertion, not least in my own household. Anyway, this woman’s earnest performance is entirely unreliable and I decide she probably couldn’t find her way out of her own underwear, so the jury disregards her ramblings and proceeds as per the previous witness’s testimony. “At the first rondpoint [roundabout – you might find this useful some time], take the third exit.” In other words turn left, I think, patronizingly, as the man sketches the route on a piece of scrap paper. We turn left at the first one and soon find the second, which turns out to have no straight-ahead option. In such circumstances all you can do is try to think as your instructor thinks. If he considers five or six minutes’ drive a long way, does he mean left or right when he says straight ahead? Left looks more promising, so we take a gamble on that. Note the plural: as darkness falls and patience runs short, the last thing you need is a difference of opinion inside the car. Decisions must be unanimous, or appear so, anyway. We succeed together and we fail together. One more roadside consultation, this time in a fast food outlet, where we receive confirmation that it’s just up there before the school. Oh, the school, of course. Just because I’ve never been here before, that doesn’t mean I can fail to know where the school is, and if I do find it, it means I’ve missed the hotel. But wait, another clue: turn right at the “huit a huit”. 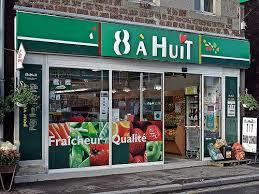 Long-ago French scholar turns detective and decides this must be a convenience store that’s open from eight to eight. Now you’re talking. And there in the gloom is a corner shop with a 8 a Huit sign shining like a beacon outside a harbour. Made it against all the odds. The hotel is there as promised, and not only that: the bar and the restaurant are still open. Shower? Who needs one? I’ll have an internal rinse with French beer while I look at the wine list. If I’d wanted to behave myself I’d have stayed at home.